Equo recently introduced an interesting new product at Interzoo: Nutrobact, a nutrient based on carbon for denitrifying bacteria which helps the complete denitrification; very important for both freshwater and marine aquariums. 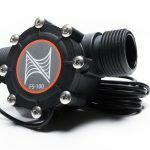 Denitrification is the last phase of the nitrogen cycle, and it is the most complicated to accomplish inside the aquarium; in freshwater it is almost impossible, and even in marine aquarium it happens only partially. 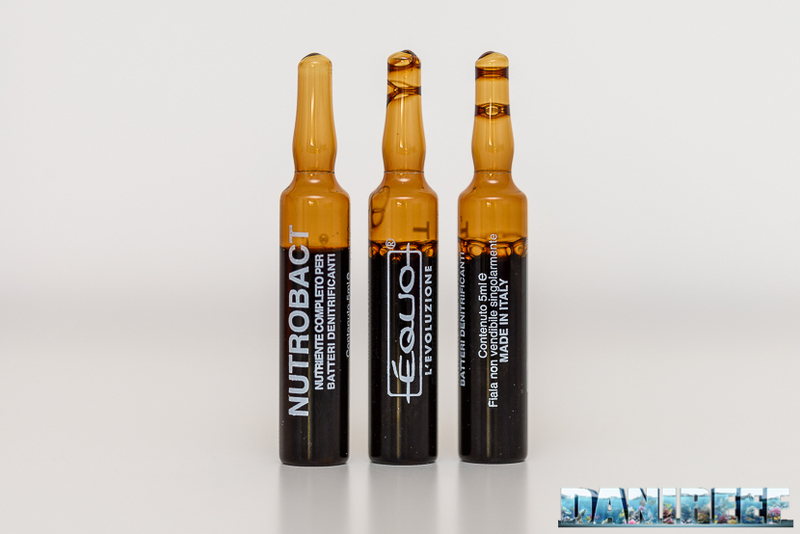 Nutrobact Equo provides food based on carbon to bacteria, and allows them to complete the nitrogen cycle, but, as it encourages bacteria growth, I suggest following the recommended dosage with care. 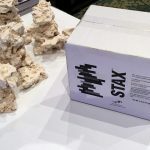 Equo suggests using this new offering in conjunction with its other bacteria products, Bacterya and Bio-Nitronex. If used together, you should expect even better results. 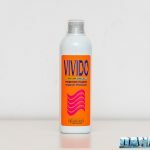 Vials contains 5 ml of solution, and are enough to treat up to 500 liters of water every 7 or 15 days, depending on your aquarium’s response. With this treatment, and the correct measurement, you should see results within ten days; the nitrates will be split into nitrogen and oxygen. If the nitrates are already low, you should reduce the amounts avoid too-high “oligotrophic” values. 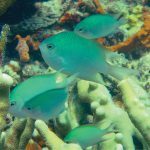 This could damage corals, so it is important to find the correct concentration. The vials have “score break” technology; the glass is carved to allow you to break the vial open safely – you can see the carved mark in the previous picture. The other vials in the collection will soon be updated in the same way. The package also contains the pipe for product dosage and the score break. 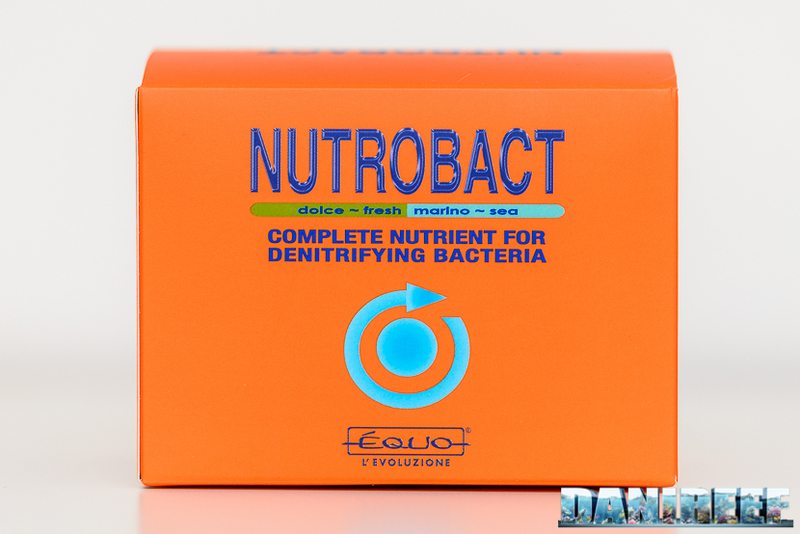 Equo Nutrobact comes in a brand-new packaging, simpler and cleaner than the previous packaging, but, as always, electric orange with blue letters. 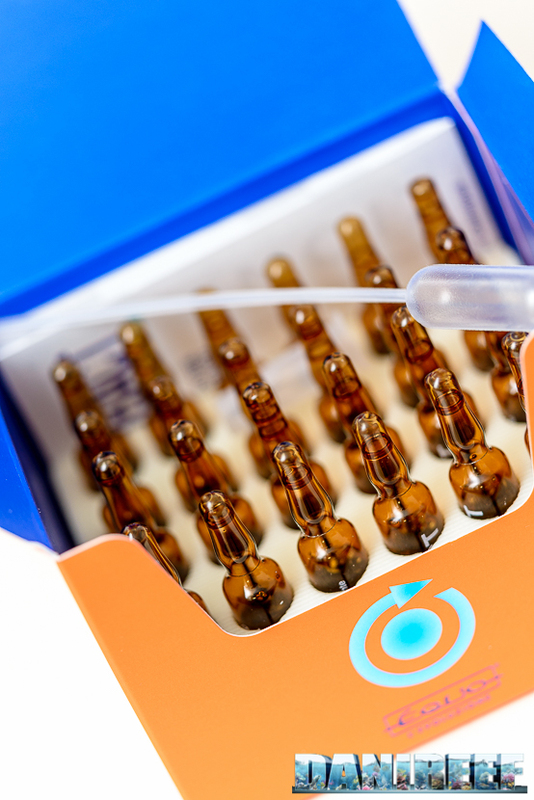 Like all Equo vials, Nutrobact uses a polystyrene separator, which has the dual purpose of separating the vials and limiting large temperature leaps, which can ruin the mixtures. Equo Nutrobact comes in packages containing 6 or 24 vials. The package with 6 vials costs 11,61 €, which translates to 1,93€ per vial, and the 24-vial package costs 30,15€, or 1,26€ for each vial, a savings of more than 35%. 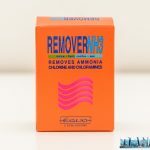 I suggest buying the 6-vial package to start, so you can decide if this is a good product for you, and, if it is, then buy the package with 24 vials and get the maximum savings.